Desktop publishing (DTP) was initiated by two ground-breaking developments of Adobe. They first established postscript in 1984, which, after being quickly adapted by Apple in 1985 in their first laser printer, became the de-facto standard in the DTP world for a long time to come. Second, they developed the portable document standard (pdf) in 1993, which is now not only dominating DTP, but also all electronic publishing activities. I don't remember when pdf became relevant for me. 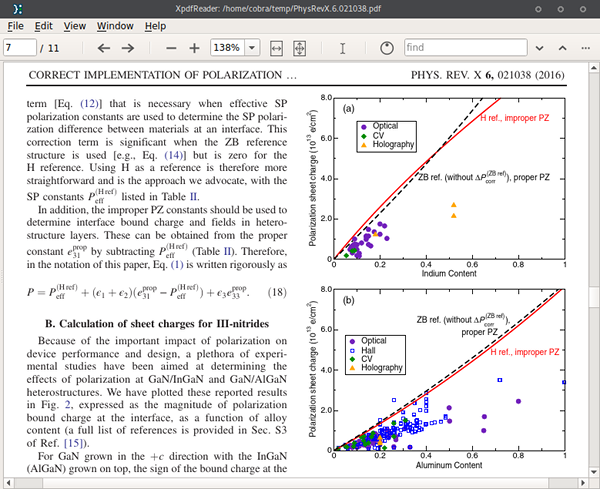 For publishing, most journals still prefer figures in eps format, although some accept pdf as well. 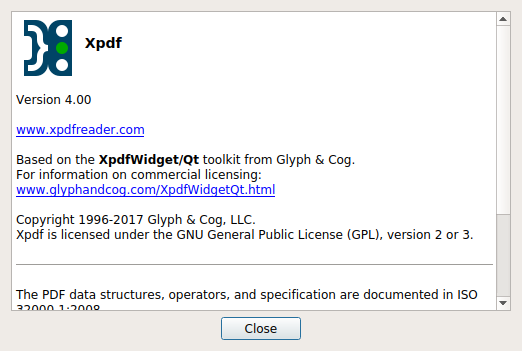 I also don't remember whether Xpdf or gv was serving as my pdf reader in the 1990s. In any case, Xpdf was (as far as I know) the first dedicated pdf reader for Linux, and came with a Motif interface popular at that time (after all, the popular Unix desktop CDE used Motif!). This archaic interface didn't change since 1995, and is certainly one of the main reasons why nobody uses Xpdf any more. Well, I do, but only for a single purpose: I use Xpdf to extract vector graphics from pdf files. A few days ago, I planned to do exactly that, opened the paper with Xpdf and ... but wait a second, that's not Xpdf! And yet, the window title says Xpdf. What's going on? bind ctrl-e any "run(pdfsnap '%f' %p %x %y %X %Y)"
bind ctrl-e any "run(pdfsnap %f %p %x %y %X %Y)"